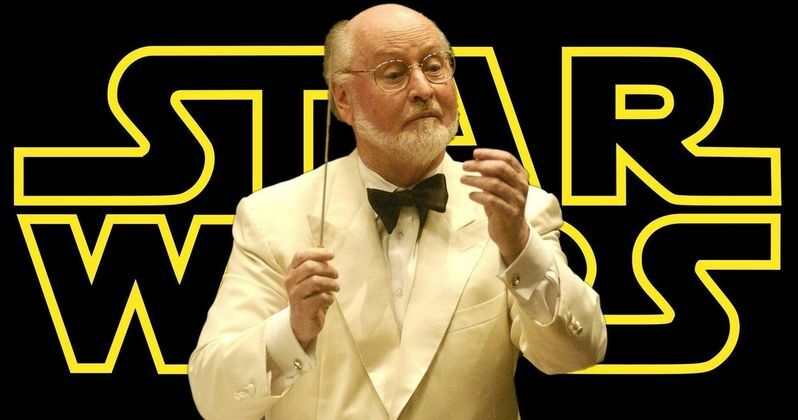 John Williams is gearing up to score Star Wars 9. The legendary composer has helped define one of the most important and popular movie franchises in the history of cinema with his iconic and unforgettable music. Williams has scored every single saga movie so far and that's going to remain true in Episode IX. And according to one of his friends, Williams will be starting work on the final chapter of the Skywalker saga in just a few short months. Last year, John Williams had something of a health scare that forced him to cancel some live performances. Fans all across the globe were concerned for his well-being, but it seems that the 86-year-old Oscar-winner is doing much better these days and, according to his pal Mike Matessino, he's set to begin working on his latest score this summer. Here's what Matessino had to say about it. "John's doing just fine. He went to Ginny Mancini's Twelfth Night party last week. Just a few people there... Norman Lear, Quincy Jones, Leslie Bricusse... I don't think he's working on Episode IX until the summer; the schedule is still being worked out." While it sounds like the exact dates are still being worked out, that at least gives us a rough idea of where the movie is at. Director J.J. Abrams is currently filming and if this holds true, we should expect that he'll be done with principal photography come summertime so that John Williams can do his thing. Though, don't be surprised to learn that reshoots become part of the equation a little later on down the line, as they've become common practice for massive blockbusters such as this. There are a great many things for fans to potentially look forward to when it comes to Star Wars 9. But given that John Williams says that this is going to be his last score within the franchise, hearing what he cooks up could be at or very near the top of the list. Even when Star Wars is at its worst, whatever that may be for the individual fan, Williams' music is always a highlight. Case in point; Duel of the Fates may be his finest work within a galaxy far, far away and he composed it for The Phantom Menace, which is rarely listed amongst anyone's favorite entries in the franchise. The cast includes Daisy Ridley, Adam Driver, John Boyega, Oscar Isaac, Lupita Nyong'o, Domhnall Gleeson, Kelly Marie Tran, Billie Lourd, Naomi Ackie, Richard E. Grant, Keri Russell, Matt Smith, Dominic Monaghan, Anthony Daniels, Mark Hamill and Billy Dee Williams making his return as Lando Calrissian. We're still holding out for an official title reveal, which should be coming sooner rather than later. As for those who are eagerly awaiting a trailer? Expect to see one debut during Star Wars Celebration in April. Star Wars Episode IX is set to hit theaters on December 20. This news comes to us from Film Score Monthly.